Publish/subscribe messaging, or pub/sub messaging, is a form of asynchronous service-to-service communication used in serverless and microservices architectures. In a pub/sub model, any message published to a topic is immediately received by all of the subscribers to the topic. 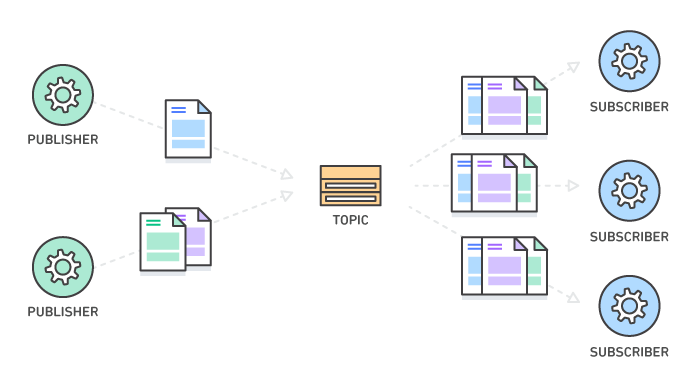 Pub/sub messaging can be used to enable event-driven architectures, or to decouple applications in order to increase performance, reliability and scalability. Below are several resources to help you better understand Pub/Sub in the broad sense. 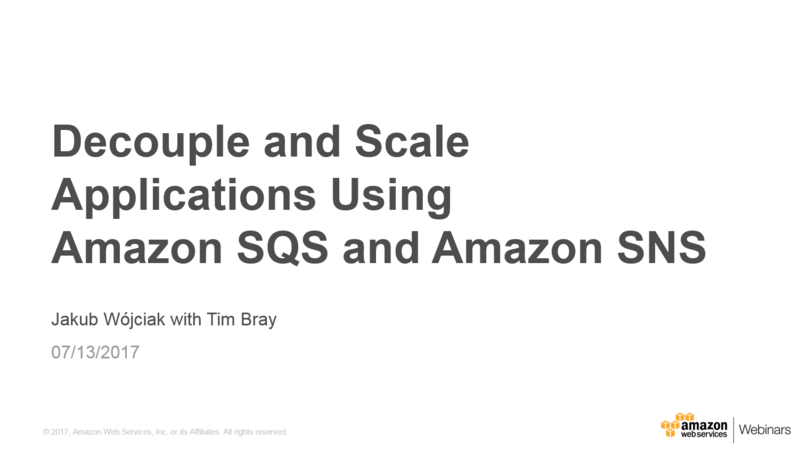 If you’d instead like to learn more about Pub/Sub messaging on AWS, read our blog, Building Scalable Applications and Microservices: Adding Messaging to Your Toolbox, for an overview of Amazon Simple Notification Service (SNS). In modern cloud architecture, applications are decoupled into smaller, independent building blocks that are easier to develop, deploy and maintain. Publish/Subscribe (Pub/Sub) messaging provides instant event notifications for these distributed applications. The Publish Subscribe model allows messages to be broadcast to different parts of a system asynchronously. A sibling to a message queue, a message topic provides a lightweight mechanism to broadcast asynchronous event notifications, and endpoints that allow software components to connect to the topic in order to send and receive those messages. To broadcast a message, a component called a publisher simply pushes a message to the topic. Unlike message queues, which batch messages until they are retrieved, message topics transfer messages with no or very little queuing, and push them out immediately to all subscribers. All components that subscribe to the topic will receive every message that is broadcast, unless a message filtering policy is set by the subscriber. Get started with Amazon Simple Notification Service (SNS) for free with just three simple commands.